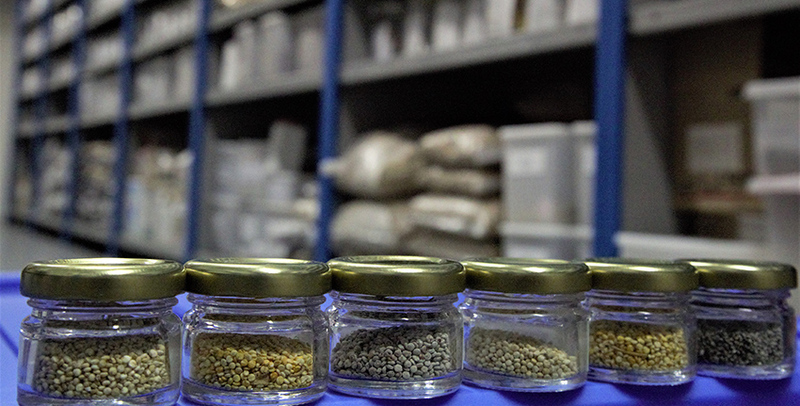 ICBA’s gene bank stores over 14,000 accessions of around 240 salt-, drought- and heat-tolerant plant species from more than 150 countries and territories of the world. As part of its mission, the International Center for Biosaline Agriculture (ICBA) also promotes crop biodiversity through collecting, preserving, evaluating and introducing different drought-, salt- and heat-tolerant crops suited to marginal environments. As 22 May marks the International Day for Biological Diversity (or World Biodiversity Day) every year, the date serves as an important reminder of biodiversity’s role in food security and environmental sustainability. Today the world faces a plethora of challenges from climate change to overpopulation to food insecurity. In this context, crop biodiversity is seen as a way to cope with a variety of threats to agricultural production, that is food security, including biotic (such as pests and diseases) and abiotic (such as such as salinity, drought) ones. As part of its mission, the International Center for Biosaline Agriculture (ICBA) also promotes crop biodiversity through collecting, preserving, evaluating and introducing different drought-, salt- and heat-tolerant crops suited to marginal environments. Over the years, this work has reached thousands of beneficiaries in Africa, Central Asia, Middle East and North Africa. As a result, crops like quinoa, Salicornia, cowpea, guar, safflower, mustard, pigeon pea, colocynth and many others, are being grown by smallholder farmers as alternatives to major staple crops. This has helped to save freshwater resources and utilize saline soils and water resources, thus improving farmers’ livelihoods. A lot of the center’s effort also goes to preserving plant genetic resources. 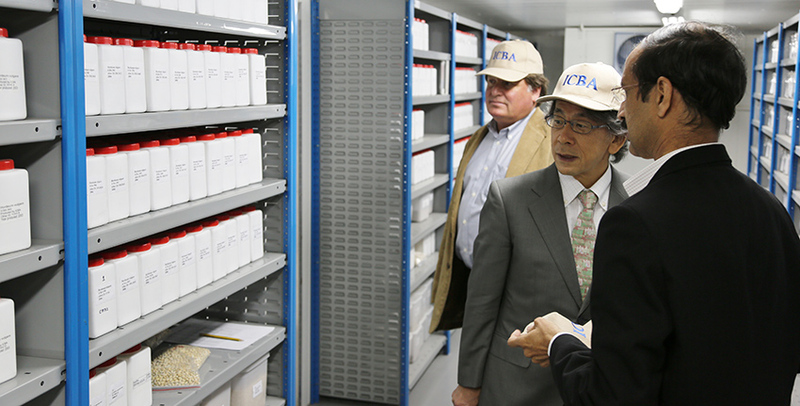 ICBA’s gene bank stores over 14,000 accessions of around 240 salt-, drought- and heat-tolerant plant species from more than 150 countries and territories of the world. Moreover, the gene bank is home to around 250 seed samples of 70 wild plant species from the UAE, the center's host country. This work has helped, for example, to save Halfa grass, a rare plant species in the UAE, from possible extinction. Scientists have also uncovered and documented eight plant species previously unknown to exist in the country. As climate change poses great risks, crop biodiversity is more important than ever before. This is especially true of regions where agricultural production is in decline due to varying causes, including drought, salinity and heat. And crop biodiversity offers more solutions to tackling current and future challenges to food security.